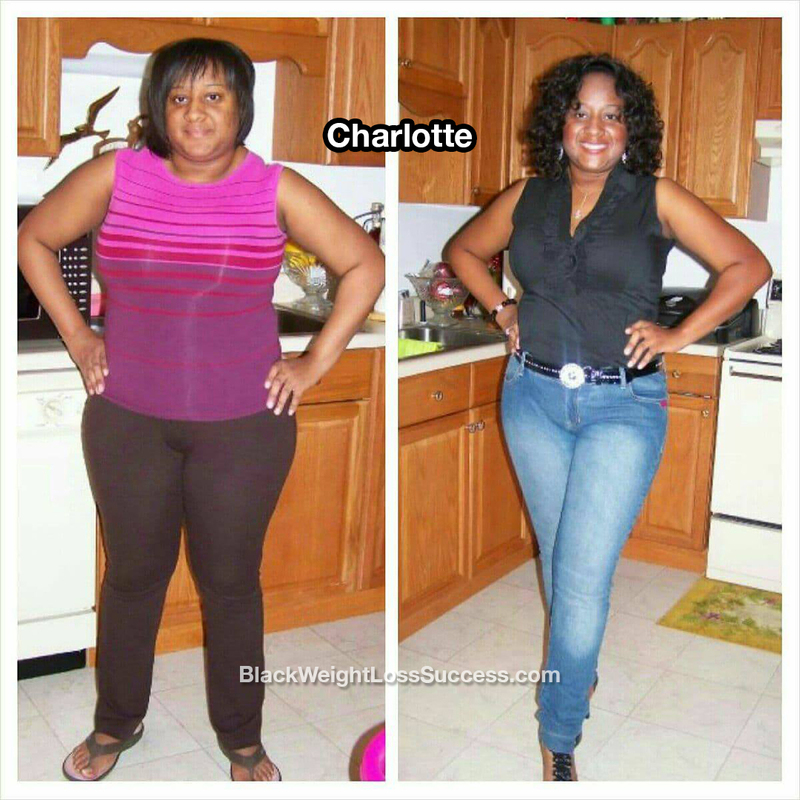 Transformation of the Day: Charlotte lost 64 pounds. She tried various plans, fads and diets over the years, but in the end she would always regain the weight. At the suggestion of a friend, she tried a new plan that has worked wonders for her. Check out her story. I started my weight loss at the beginning of May 2017 after a friend told me about Terry Starks‘ lifestyle change program. I decided to try the program because in the past I tried other diets, fads and fitness programs that landed me approximate 20 pounds down and then I’d gain the weight again. I started eating 4-5 meals a day. I ate salads, lots of veggies and drank LOTS OF WATER. I ate baked chicken and fish for protein. No soda, no juice, no chips and no sugar. I had more than enough food to eat everyday. My workout regimen was doing cardio 5 days a week. I did 20 minutes on the treadmill, 30 minutes on the elliptical and 1 hour of step aerobics. When I started this process, I weighed 232 pounds. I’m 5 feet, 4 inches tall. After 35 days on Terry Starks’ program, I went from a size 14 to a healthy size 10. Today, I weigh 168 pounds and a stretchable size 8 fits great on me! While on this journey, I noticed that my clothes were too big by the 3rd week. Oh, and let’s not forget all of the inches I lost as well. This lifestyle change has totally changed my life! I now know how to eat, exercise, maintain and control my weight with NO surgeries, diet pills, waist trainers or fad diets involved. My advice to anyone trying to lose weight is work your plan 100%. Also, do it for you and only YOU!